People often refer to their kitchen as the heart of their home, as it’s where they and loved ones spend time conversing and sharing meals with friends and family. If you are like many homeowners in the Allen, Texas, area, you and your family too spend a lot of time in your kitchen and use the space to both make delicious meals and create special memories. Because of this, why not invest in a kitchen makeover from the experts at Star Home Remodeling so that you can customize the space to perfectly complement your style and cater to your unique needs? After investing in a kitchen renovation, you’ll be able to enjoy the space even more than you do now. And, it will likely add value to your home, making the project a fantastic investment. In business since 2007, Star Home Remodeling has helped homeowners like yourself better enjoy their homes by customizing their properties to reflect their styles and meet their needs. Throughout our many years in the industry, we have earned a number of accolades, including multiple Best of Houzz awards. When you partner with us for your kitchen makeover, you can rest assured our skilled team can handle all aspects of the project. From creating a stunning design to installing all of your new features, we can do it all. We can even provide you with the premium products you want to incorporate into the design, such as masterfully crafted cabinetry. 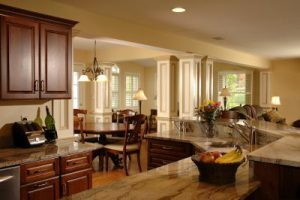 To learn more about the kitchen makeover we can complete at your Allen, TX, home, contact Star Home Remodeling today. When you do, one of our friendly and knowledgeable associates will be happy to answer any questions you have.